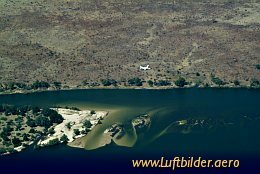 The Sambesi River has its source in Sambia and ends after 2574 kilometres in the Indian Ocean. 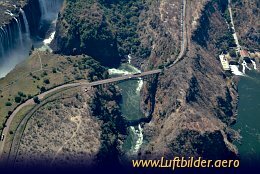 It forms the natural border between Sambia and Nambia and between Sambia and Simbabwe. 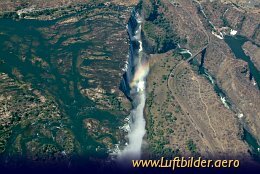 Near Livingstone (Sambia) and Victoria Falls (Simbabwe) it falls down over 110 m. There is Africas most spectacular water fall - the Victoria Falls.